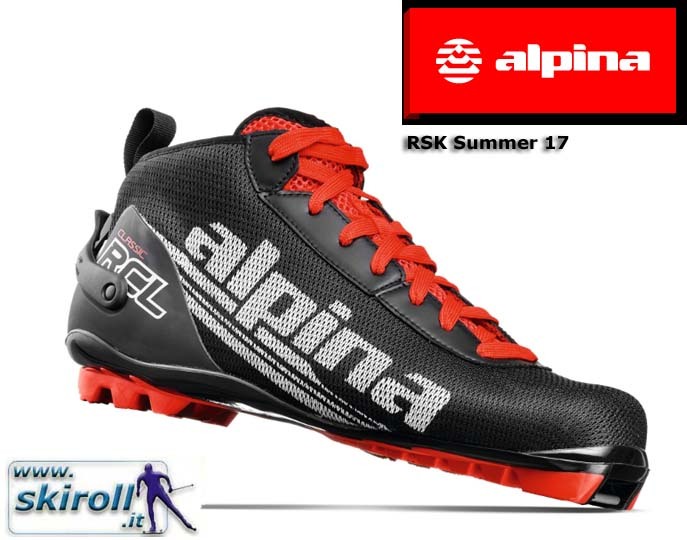 ALPINA RCL Summer Classic NNN Rollerski Boots è una scarpa da skiroll confortevole e traspirante per lo stile classico. Adatta ad attacchi Rottefella NNN e Salomon Prolink. Sizes EU 35-48, UK 3-13. 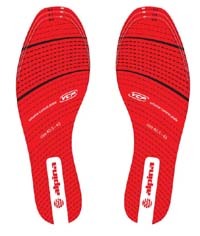 The ALPINA RCL Summer Classic NNN Rollerski Boots are made for warm temperature. The upper is made out of breathable mesh and allows very good air circulation. The inner comes in anatomic shape and gives good stability. The back is reinforced and equip with an adjustable heel. By the fast lacing system the ALPINA RCL Summer Classic NNN Rollerski Boots can adjust to nearly every foot form – doesn’t matter if small or wide.